Nearly two third of poor asian population work in small and cottage sectors. At least one person in the family should be given employment!!!!!! INDUSTRIES: Thick populated countries with higher level of poverty should work for industrialization that is helpful for all categories of population such as literate or semi-literate and illiterates. Governments of these countries mainly concentrate on the modernization and heavy industries. Of course in present world modernization of industries is very important to withstand the international competition and standard. Disadvantage of concentrating only on heavy industries is it does not full fill absolute employment opportunity. Reason is major percentage of rural are either illiterate or semi-literate they can be consumed in small and cottage industries such as agricultural instruments and tools handloom/ handicrafts/ poultry farms and etc. Scope of these sectors has to be widened as this sector has capacity to consume mass level of workers. As largely heavy industries are pruning their staff due to recession in heavy competition these unemployed people will shoot unemployment crisis further among literates. Small-scale and agricultural industries will be beneficial for them also. 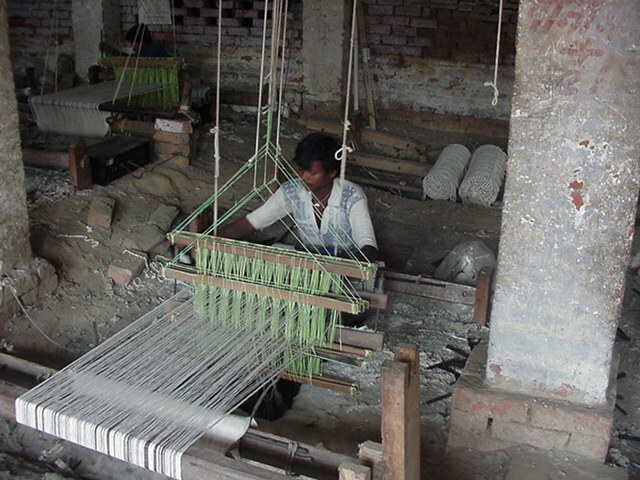 Click below pictures to see topic how workers of handloom and cottage industries are in unemployment crisis due to unattentive attitude. 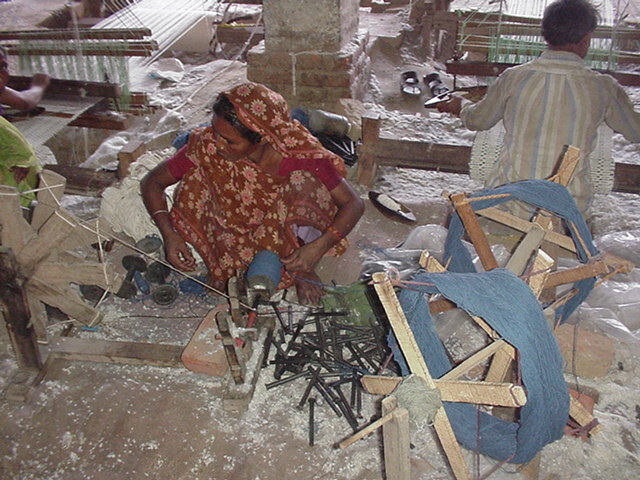 CLICK to see: "Handloom and Cottage Industries crisis"
· Governments and international institutions should come forward to upgrade the quality and measures to bring cost as low as possible and steps to improve its demand for these products. · This could be done by inviting private sector and international organizations participation to bring know how for research and development and promote demand of such products. · I.L.O and other agencies should understand necessity to explore the possibility to encourage this sector especially in poor countries. As this comes in unorganized informal sector workers are deprived of their social security and pension schemes. · W.T.O and other international agencies also can be real helpful by allocating minimum quantity quota required for imports with incentives to boost demand. As more the goods sold more the jobs created. · Governments should identify the traditional products or suitable products of rural areas, which can be promoted scientifically without affecting the traditional grace. · Governments to make sure the availability of raw material and distribution at best possible price. Most affected areas of child labour are Africa, where 29% of children aged 5-14 are working (48 million), followed by Asia and the Pacific (19% or 127.3 million), Latin America and the Caribbean (16% or 17.4 million) and the Middle East and North Africa (15% or 13.4 million). Discourage over population, which is rather killing the world. Lack of education in these countries main reason for NGO's should come with the ideas to encourage countries to introduce incentive and disincentives for smaller family.